We’re coming up to the 20th anniversary of the EverQuest franchise next month. That is a long time for a game to hang around. EverQuest is still alive and kicking, still getting updates, and still making money so far as I can tell. It is long past its population peak, which hit way back in 2003. There have been multiple rounds of server merges in order to keep server populations viable. But there remains a sizable active player base… a player base that is, in all likelihood, still larger than the initial target Sony had for the game back before it launched. Therein lies the problem, the dilemma of these sorts of game. Titles like EverQuest, which I will call MMORPGs, are not like single player games or even most multiplayer games. They are more like their MUD antecedents in that they have a social aspect that attracts and holds players and keeps them playing long after they might have walked away from a game that only featured a single player campaign. MMORPGs, if they grab a big enough audience early on, can stay viable for years and years. Just about five and a half years after EverQuest hit the shelves SOE launched EverQuest II. It was supposed to ship before then… at least a year before then according to Computer Gaming World back in 2003… but when do these things ever ship on time? It was meant to replace the original, but was too different and initially too… broken isn’t the right word because a lot of regrettable aspects of the game were working as designed, so maybe just not well thought through… to lure many away from the first game and not good enough on its own to surpass the original. And, as I mentioned, people invested in EverQuest ended up declining to jump to a new game to start anew. The old game was still there and they were settled in the world they already knew and loved. So Everquest II didn’t exactly break records on the subscriptions front. 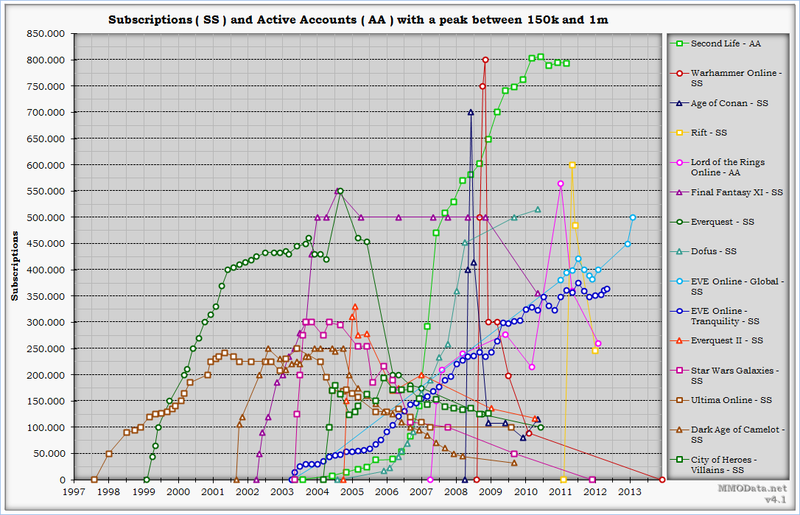 In the scale of the time, where EverQuest was the top dog, it still did pretty well. We’ve seen the subscription chart before that shows it peaking around 350K subscribers. That was well shy of EverQuest‘s 550K peak, but nothing to be ashamed of in the mix of games at the time. Or it wouldn’t have been had not World of Warcraft launched a month later. I think the the fact that you couldn’t find a copy of WoW very easily until early in 2005 kept people in EQII longer than they might have stayed. But many of the 350K fled, either back to EQ or on to WoW. The lesson learned, according to Smed at the time, was no more MMO sequels. But if they had kept to that this post would stop right here. Meanwhile WoW‘s subscription numbers distorted all previous measures. 550K looked great, until WoW was rocketing past ten times that number and continuing to climb. WoW changed the genre and the expectations of both players and studios. The era of insanity began, where the potential of the genre seemed unlimited. Charlatans declared that if you weren’t making an MMORPG you were a fool. WoW became the benchmark for success and money chased those who claimed they could reproduce that success. However, the plan usually involved copying WoW, sometimes subtly, sometimes brazenly, but WoW was the target. EQ and EQII chugged along all the same. They clearly had enough of an audience to remain viable. They both got updates and expansions on a regular basis. There was the inevitable change over to a cash shop F2P model since the audience willing to part with $15 a month for a game was limited and, it seemed, concentrated on Azeroth. Along the way the idea of a sequel began to stir anew. At SOE Fanfest in August 2010 SOE announced that they were working on a new EverQuest sequel, which had been given the placeholder name EverQuest Next. I don’t have a post about the announcement itself. That was back in my naive blogging days when I thought linking out to other coverage was enough. Link rot has proven that idea wrong. Basically, it sounded like WoW, except for the PvP “done right” part. But SOE has never done PvP right in Norrath, so WoW PvP would probably have been a step up. We heard nothing much else for a long stretch (the usual SOE method) until June of 2012, when it was announced that everything we saw or heard in 2010 was obsolete and should be disregarded. Come SOE Live, the new name for SOE Fanfest, of August 2013 we were treated to a new vision of an EverQuest sequel. They also adopted EverQuest Next as the official name. I wrote a long post about each aspect that was covered and linked out to what other people were writing about it as well. And a lot of people were writing about it, excited by the prospect. That went on in fits and starts, with long periods of silence, until early March 2016, when the whole thing was finally cancelled. I declared that the end of the classic open world MMORPG. Nobody seemed likely to make anything like the original EverQuest again, despite that quote at the top of the post, which came straight from the copy of the EQN cancellation announcement. But we were into the Daybreak era by then, and closing games had become the rule rather than the exception for the team in San Diego, so a cancellation seemed par for the course. The development tool-become-game Landmark was all that survived of EverQuest Next, and even its time was limited. Which brings us to today. It has been nearly three years since EverQuest Next was cancelled, and I suspect that we will hear no more about it or the goals it had. Yet still, the rumor of sequels persist. I had a tip sent to me about two years back that suggested that Daybreak was working on a small scale game based in Norrath, something more like a co-op RPG rather than an MMORPG. But that was when H1Z1 still included what became Just Survive, which was also supposed to be small scale, with many servers and a co-op or PvP mechanic. But I haven’t heard anything like that since. Perhaps the decline and eventual demise of Just Survive kept that from becoming a thing. Everquest 3 has been back in development for a year and is being rebuilt from the ground up. It aims to compete with Pantheon: Rise of the Fallen and to be the first fantasy MMORPG to put an emphasis on team battle royal PvP. Battle royale EverQuest, because when you have a hammer that worked really well for a bit, every problem looks like a nail? As PlanetSide Arena suggests, Daybreak is still trying to recapture that battle royale magic that they so briefly held with H1Z1. And I am not sure that really competes with Pantheon. But Pantheon is still a vision and some demos five years down the road, so who knows what it might end up being. And then, back in September of last year, there was the NantWorks joint venture announcement which, among other things, seemed to promise some version of EverQuest on your phone. But the press release also suggested that H1Z1 and some version of EverQuest were running on the Daybreak’s “well tested game engine,” which might have been a mistake, might have been marketing being unclear on the concept, or might have been a slip that indicated that something in the EverQuest domain was up and running on that engine. So, with all of that context, where does an actual EverQuest 3 fit into the world? Wait, I’m not done with context. Did I mention that it isn’t 1999 anymore? I realize that the fact that time has moved forward ought to be self-evident, but I don’t think that always sinks in as deeply as it should. There will be somebody out there who wants the original EverQuest, death penalty and corpse runs included, on an updated platform. And, I have to admit I have pined for that sort of thing myself at times. 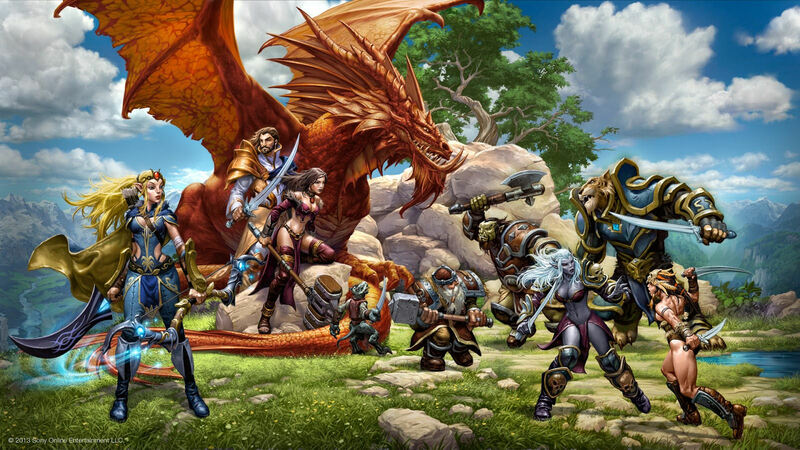 Wouldn’t original EverQuest on the WoW engine be something? But part of what made EverQuest great and popular and a legend is that it came out in 1999, which I am sad to say is now twenty years gone in the rear view mirror. At that point in time it was a perfect storm of features and design. Now though? So what should an EverQuest 3 look like? Suggesting going back to 1999 feels like trying to get lightning to strike the same spot a second time, only the storm clouds have long moved on. 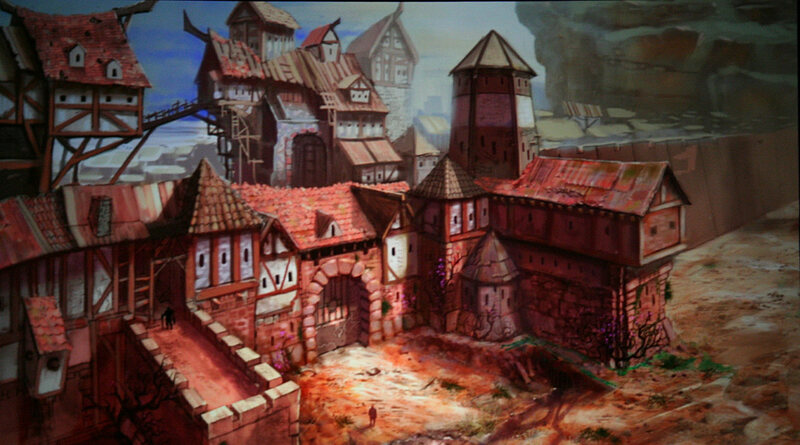 Building something more WoW-like with the Norrath lore might have some draw, if done right. But is the lore enough of a draw if the game is otherwise just another free to play, cash shop, and loot box clone in the genre? And then there are those lessons learned. There are some tasty tidbits there. But Daybreak has already folded on that hand once. Why would I possibly believe they could revive it again? It may very well be that the “no sequels” lesson was the one they ought to stick with. During the coming 20th anniversary of the original I suspect/hope/dread that Daybreak will tell us about plans they have for the future of the franchise. It seems like the optimum point in time, when nostalgia for the franchise will swell and attention will be drawn to the game as it reaches that milestone. But I am conflicted as to how I will greet the news of any such successor. This entry was posted in Daybreak Game Company, entertainment, EverQuest, EverQuest II, EverQuest Next and tagged EverQuest 3, EverQuest III on February 8, 2019 by Wilhelm Arcturus.